<3 Shipping – The shipping really surprised me! I choosed GLS and the wig came home in FOUR DAYS! If you are late with your cosplays this is the fastest method to repair. When instead you are tight on budget or with a lot of time ahead you can also choose Economic air mail or other shipping methods. <3 Pros – Wigs are soft and inexpensive. There is a wide variety of wigs on the site as well as dresses. Also the staff was very kind and answered to all my questions immediatly by chat on their Facebook page! The person who answered them was clear and very helpful. The Ruby wig is very soft and full of hair. The wig is composed of a base wig with two veeeery tiny ponytails (which i loved since usually they make HUGE ponytails that makes your head look bigger >_>). 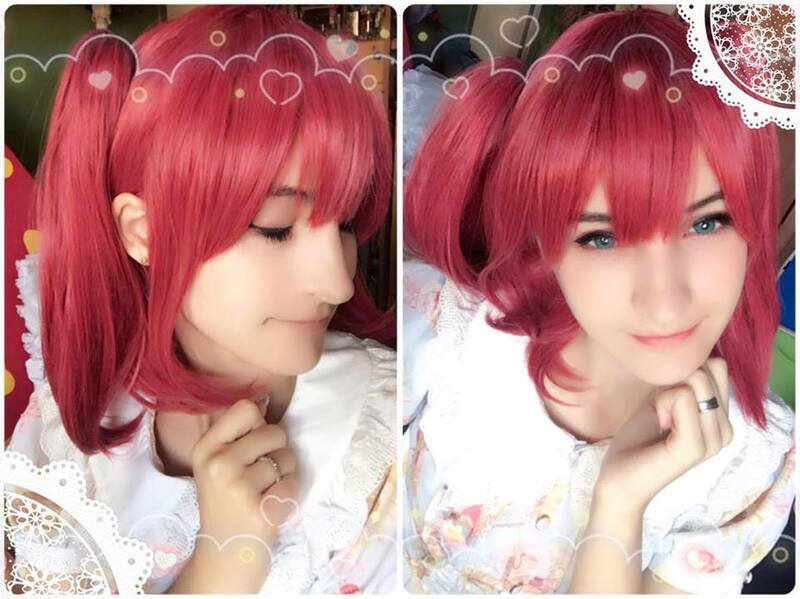 The color is composed of mixed hairs which gives you this beautiful apple red color ç_ç The wig isn’t too long and the bangs was quite short already so it took less that a minute to adjust the lenght to my face. Overall this wig is 10/10 and surely i will buy again from them! This entry was posted in Wigs and tagged anime cosplay, anime cosplay wig, best cosplay wigs, cheap blonde wigs, cheap cosplay wigs, cheap wigs, cosplay ideas, fashion wig, fashion wigs, Love Live! cosplay wig, medium cosplay wigs, pink color wigs, synthetic fashion wigs, wholesale wigs, wig, wig maintenance and care, wig store, wig-supplier reviews, wigs.